End-of-treatment HBsAg levels may be a clinically useful biomarker to predict HBV relapse in patients with chronic hepatitis B. Hepatitis B surface antigen (HBsAg) levels after stopping tenofovir disoproxil fumarate (TDF) therapy may be useful for predicting hepatitis B virus (HBV) relapse in patients with hepatitis B e antigen (HBeAg)-positive and HBeAg-negative chronic hepatitis B, according to a retrospective study published in the Journal of Viral Hepatitis. Researchers enrolled 143 patients with chronic hepatitis B without cirrhosis, 39 of whom were HBeAg-positive and 104 of whom were HBeAg-negative, who had previously been treated with TDF and were followed posttreatment for at least 6 months. They found that the 104-week cumulative incidences of virological and clinical relapse in HBeAg-negative patients were 72.3% and 55.9%, respectively, and 66.6% and 59.1% in HBeAg-positive patients, respectively. 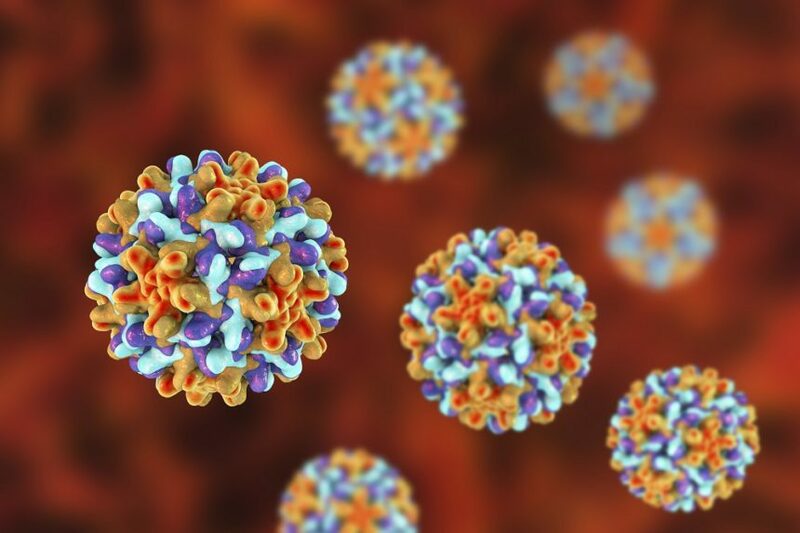 Further analyses revealed that the higher end-of-treatment HBsAg levels were an independent factor of virological relapse in HBeAg-positive and HBeAg-negative patients. The researchers found that the virological relapse rate at 78 weeks was 14.3% in HBeAg-positive patients who achieved an HBsAg level of 200 IU/mL or less and 19.6% in HBeAg-in HBeAg-negative patients who achieved an HBsAg level of 80 IU/mL or less. Of the 70 patients who developed clinical relapse, only 47 patients needed retreatment after TDF therapy discontinuation. Although clinical relapse after stopping treatment with TDF tended to be early, the rate of developing hepatitis decompensation was rare, and none of the patients died after timely retreatment. The cumulative rate of HBsAg loss at 104 weeks was 45.5% and 59.3% in patients with end-of-treatment HBsAg levels of 80 IU/mL or less and 50 IU/mL or less, respectively. The authors concluded that “end-of-treatment HBsAg levels of 200 and 80 IU/mL could predict HBV relapse in HBeAg-positive and HBeAg-negative patients, respectively.” In addition, the incidence of HBsAg loss after stopping treatment with TDF was not rare in patients who achieved low end-of-treatment HBsAg levels.